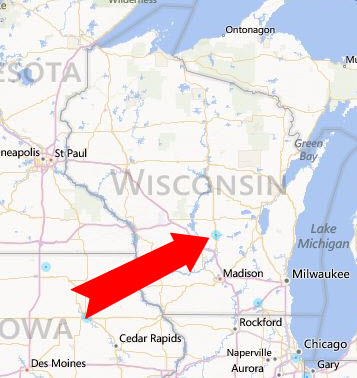 From Illinois, Milwaukee, Madison: follow I-90-94 West-I-39/51North, Exit 108B to Wausau/Portage. Follow I-39/51 North to Exit 106, Oxford/Montello. From the ramp, turn right and the first driveway on your left is the entrance to the Crossroads Motel. From Minnesota area: I-94 East to Highway 21 East to Coloma. Just before Coloma, you will take I-39/51 South to Exit 106, Oxford/Montello. From the exit ramp, turn left, go under the highway and the first driveway on your left is the entrance to the Crossroads Motel. From Northern Wisconsin: Follow I-39/51 South to Exit 106, Oxford/Montello. From the exit ramp, turn left, go under the highway and the first driveway on your left is the entrance to the Crossroads Motel. From Green Bay, Appleton: Follow Highway 21 East to Coloma to I-39/51 South. Exit at 106, Oxford/Montello. From the exit ramp, turn left, go under the highway and the first driveway on your left is the entrance to the Crossroads Motel. to all Veterans of all wars and a special THANKS! to the men and women currently serving. © 2019 Crossroads Motel. All Rights Reserved. Coller Theme by Rohit.